Grenadine is a syrup flavored with pomegranates. It may or may not contain alcohol. You can easily make your own non-alcoholic grenadine syrup at home with this recipe. 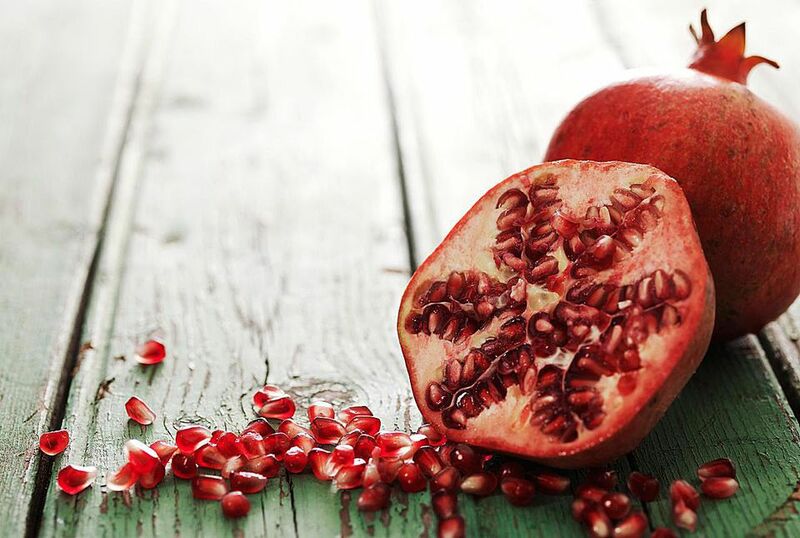 Separate the pomegranate seeds from the membranes and skin. In a heavy saucepan, cover pomegranate seeds with 1 pint of water and simmer, stirring until juice sacs release their juice, about 5 minutes. Pour through a cheesecloth-layered sieve into a bowl, pressing the juice from the seeds. Discard seeds. Measure the strained pomegranate juice and add an equal amount of sugar. Pour into saucepan and bring to a boil. Add food coloring, if using. Pour into a decorative stoppered bottle. Use grenadine syrup in children's drinks like Shirley Temple or Roy Rogers, in alcoholic cocktails, desserts, marinades, and other general recipes.